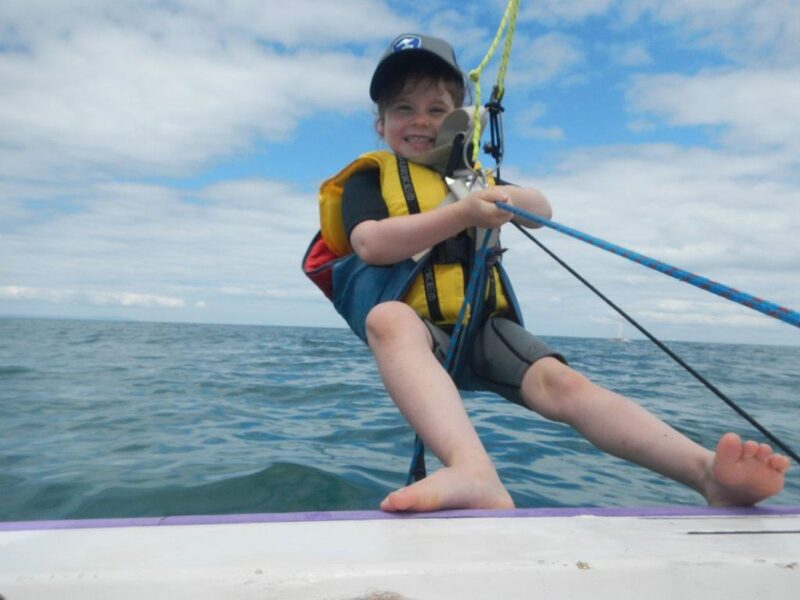 Kids got involved in Sharpies at the Adelaide Sailing Club last weekend. 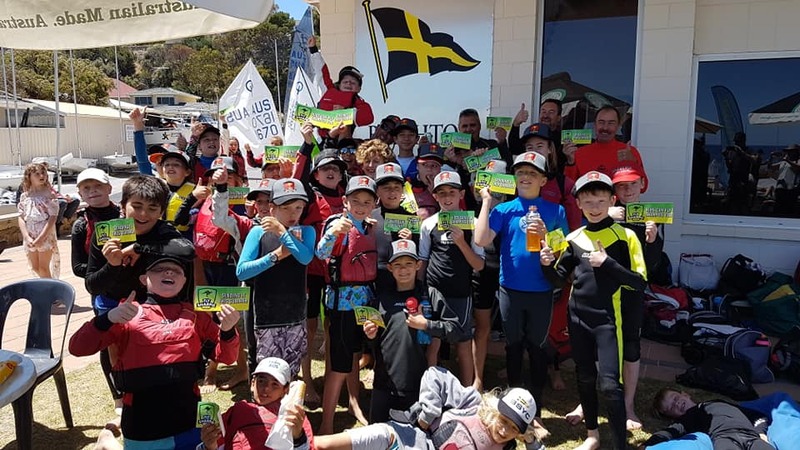 A national “come-and-try” initiative run by the Australian Sharpie class last weekend has given hundreds of kids around Australia a look into their sailing futures, after clubs across the country got behind the National Kids in Sharpies Weekend. Clubs in all Australian states and also in Canberra rallied behind the idea as a fresh way to remind younger sailors of the senior sailing options at their home clubs and reinforcing the importance of club sailing and grass roots classes to the sport. 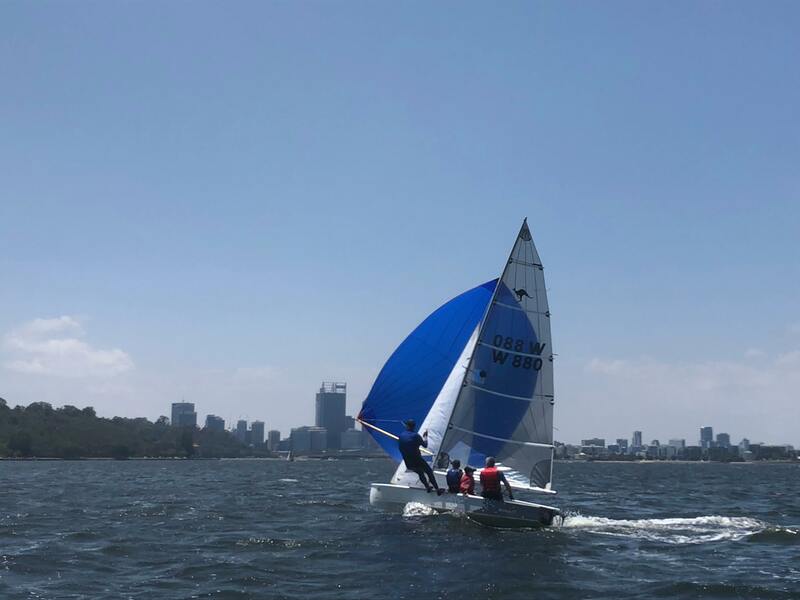 Event organiser and Western Australian Sharpie State President Neil Stanbury said clubs and classes that were at the coalface of grass roots sailing were constantly being challenged to find new ways to encourage the next generation to remain involved in the sport. He said it was easy for youngsters to feel out of place after graduating from youth development squads, especially if they end up aged out of a youth class with no funding for the next step on the professional pathways. A few kids got the ride of their life in a Sharpie on the Swan River, Perth. “Traditional club-based pathways are crucial for sailing to remain relevant and viable at the grass roots level, and the Sharpie class is perfectly aligned to do this, while also promoting competitive, affordable and enjoyable racing,” Neil said. About 40 kids in total got a go in the Sharpie at the Brighton & Seacliff Yacht Club in Adelaide. The Geographe Bay (Busselton), Mounts Bay and East Fremantle clubs were part of the initiative in Western Australia, as well as the Brighton & Seacliff, Adelaide and Largs Bay clubs in South Australia. 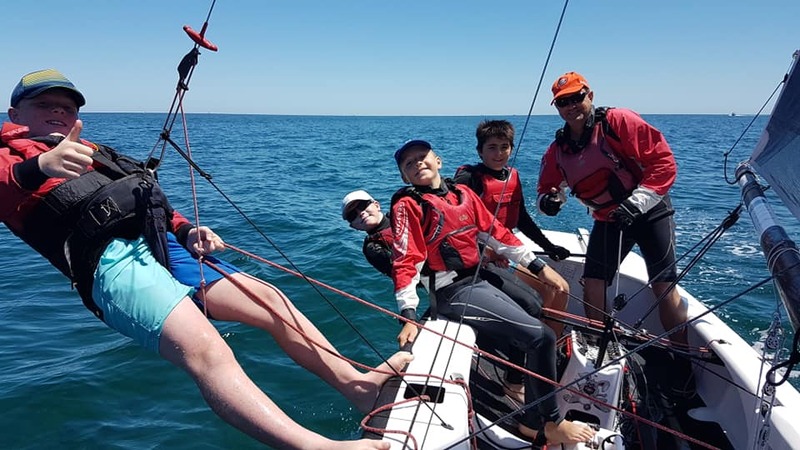 There was also a lot of activity at the Mordialloc Sailing Club in Melbourne and also at the Sandy Bay Sailing Club in Hobart, two clubs that are showing strong enthusiasm in the Sharpie class. 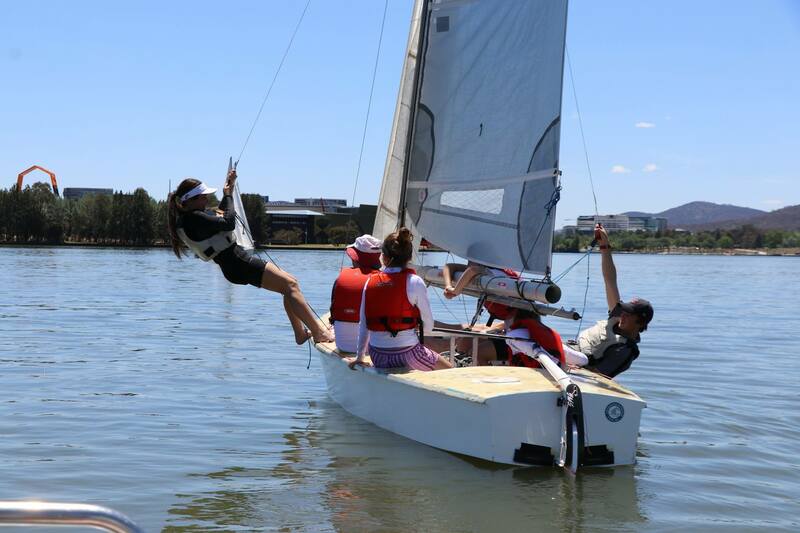 The YMCA and Canberra clubs in the ACT got behind it as well, even though there wasn’t any wind, and put dozens of youngsters through the boats. It didn’t matter how young they were, plenty of kids tried out the trapeze. 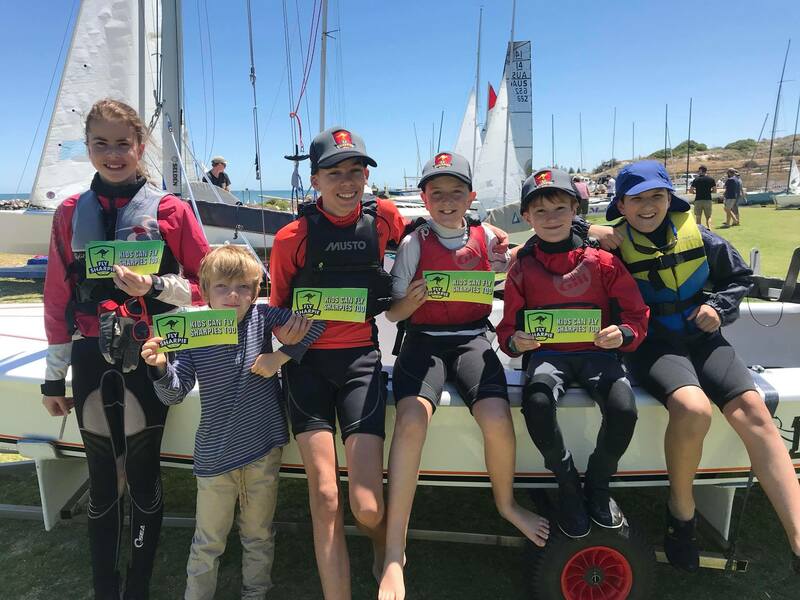 “It was an awesome day and it’s so great to see so many enthusiastic young sailors eager to get involved and try out the long boats,” Neil said. “Well done to all the sailors, volunteers, parents, and boat owners involved in the weekend right across the country, it worked almost spontaneously, mainly thanks to the level of excitement that was there. 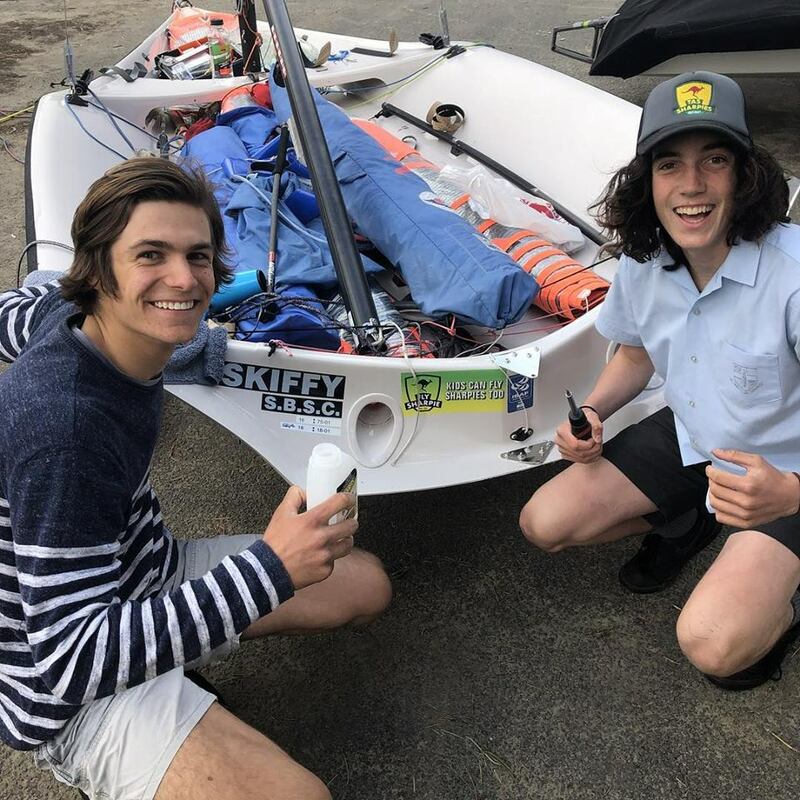 There were some talented youth sailors in Tasmania that got behind the Kids in Sharpies Weekend. The National Kids in Sharpies Weekend has caused a groundswell of support for the class at club level, with a number of the clubs continuing to run more come-and-try days throughout the remainder of the season. For more information on how to get involved in the Sharpie class, head to www.sharpies.com.au and get in touch with your local state committee. It was all smiles at the Brighton & Seacliff Yacht Club. The youngest sailor in the Kids in Sharpies Weekend and the fourth generation Ablett in a Sharpie. Kids in Sharpies Weekend, Canberra. No wind, no worries. The Kids in Sharpies Weekend in Canberra was extremely popular. Plenty of kids involved walked away with a Sharpie hat and stickers as well.